Please check out our Facebook Page, too, for the latest in updates and events! Do you live on our watershed? You do if you live between Wayside Road on the West, West Park Ave on the South, Monmouth Mall on the north and the ocean at Tak Lake. 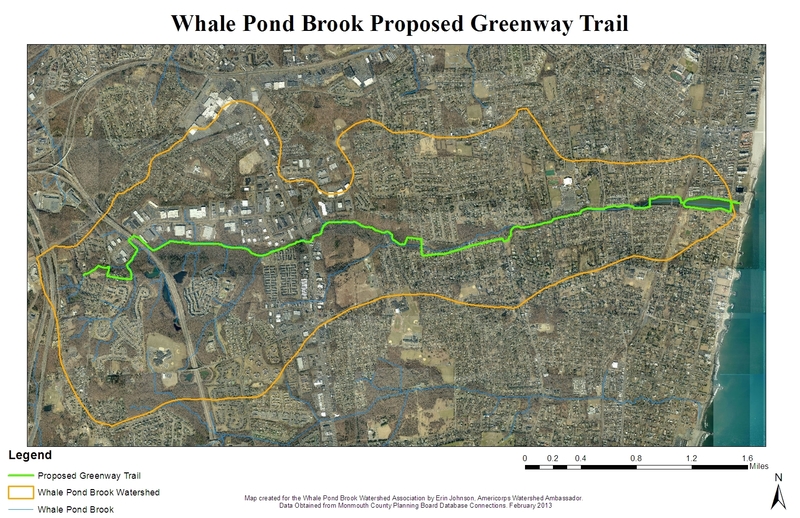 Contact us if you want to talk about the Whale Pond Brook, Cranberry Brook or the lake chain in Long Branch. We want to hear what you have to say. 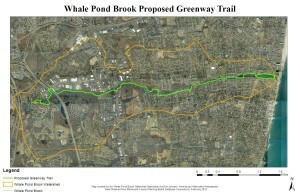 Below is a satellite photo of the Whale Pond Brook Watershed. 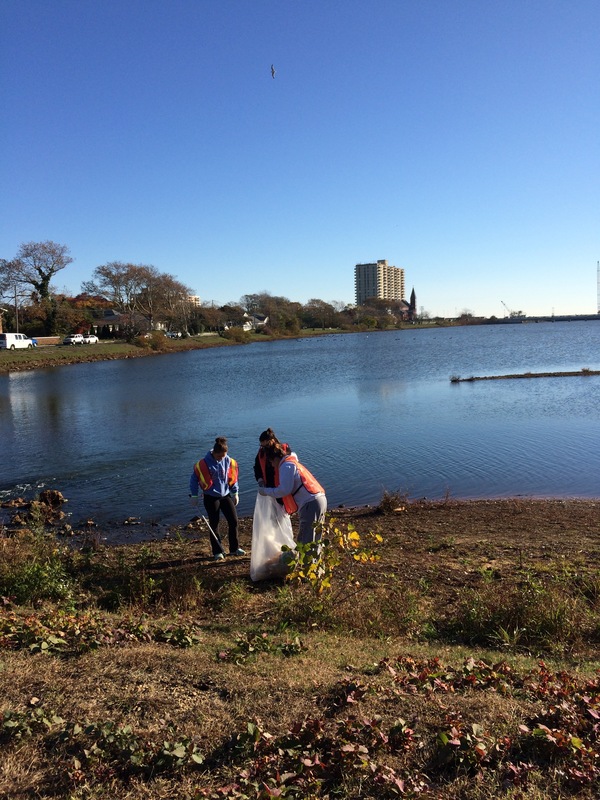 This GIS photo was created in 2013 for us by the Monmouth County Planning Board GIS office and Erin Johnson, Watershed Ambassador. 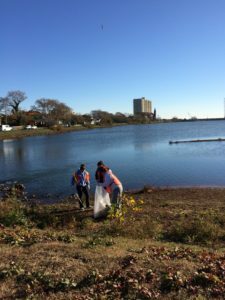 This year we have added the Coastal Watershed Partnership and we’ll be doing discovery hikes and clean-ups on the Shrewsbury watershed as well as the Whale Pond Brook. Long Branch and Eatontown are in both watersheds.